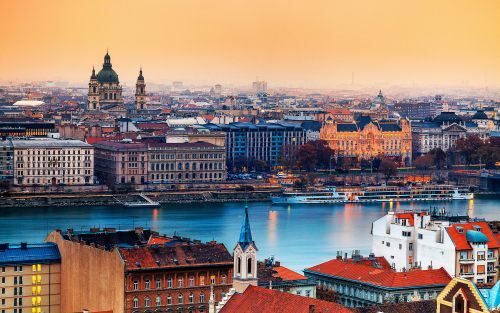 Air Canada and KLM are both showing some unusually cheap flights from Winnipeg to Budapest, Hungary today. Here's a direct link to the search result on ITravel2000.com - click on Edit Search (top right) to modify the dates. A variety of other dates in October have dropped to $760-$770 CAD roundtrip including taxes. winnipeg, ywg, flight deals, europe, eastern europe, air canada, central europe, klm, budapest, hungary and bud. 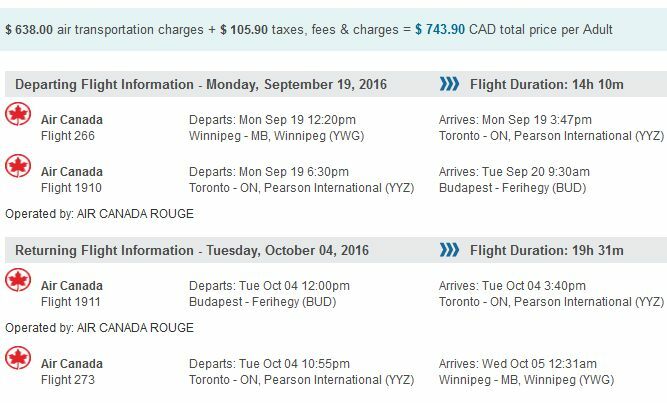 One Response to "Winnipeg to Budapest, Hungary - $744 CAD roundtrip including taxes"
This deal ended at 11pm as I was booking :( missed it.